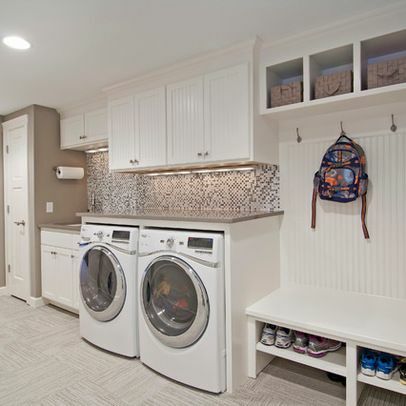 The utility room is the hardest-working room in your entire house and there are some simple things you can incorporate to make your time there a little easier. Baskets of clothes, dirty shoes, school bags; the utility room seems to collect junk and create work and it can be a cluttered and stressful environment. We're here to help! If you don't have a clothes rail in your utility room, do you even really have a utility room? The room is full of clothes and a rail like the one above just makes your life easier. Freshly ironed clothes can easily be stored without getting creased again in a pile. Hooks are a great way of getting school and gear bags off the floor and out of the way without compromising space. 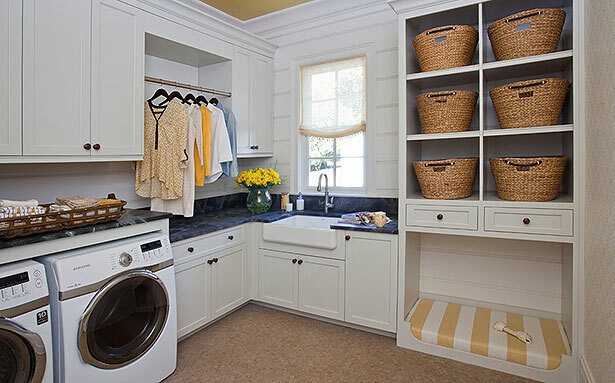 This example is part of a perfect built-in unit with footwear storage below and basket storage above. A clothes rail could easily be added to this to make it the perfect piece of utility room furniture. This is something to keep in mind when building or renovating your house. 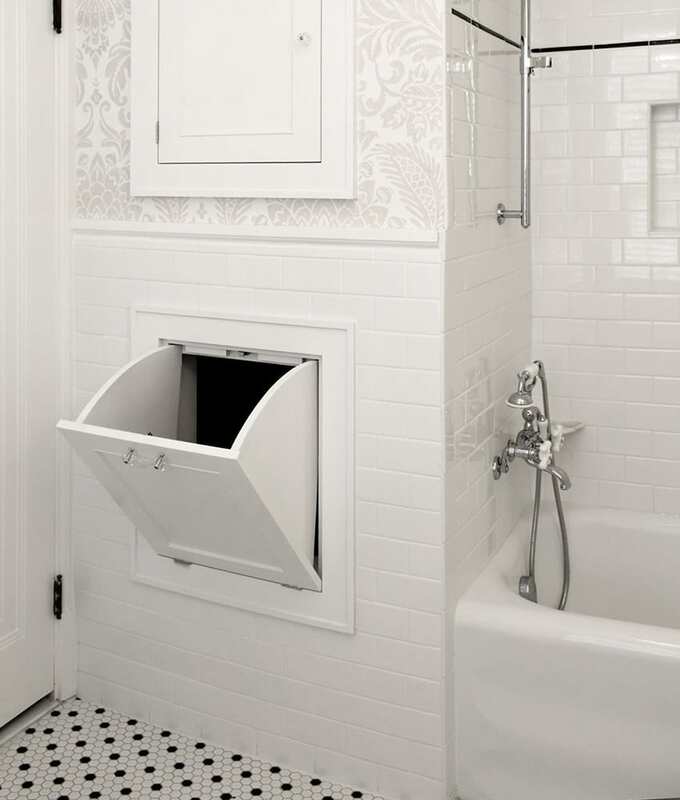 Having a shoot like this one joining your bathroom or bedroom to the utility is a gamechanger. How many times have you tripped making your way down the stairs with loads of dirty washing? Sometimes you just need a minute! Even the most organised utility room is stressful. You're cleaning, clearing, ironing, organising - it's not fun. 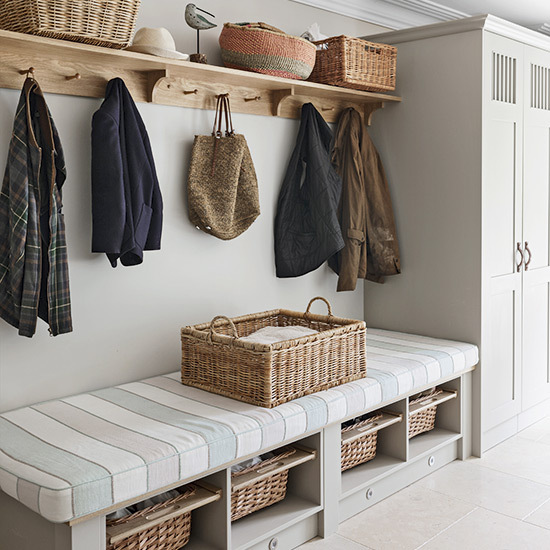 However, adding a seat into a piece of storage furniture won't take up additional space but will let you take the weight off for a minute, perhaps when you're folding clothes or organising washing. This will save you the torment of pulling the ironing board out of an already crammed cupboard. 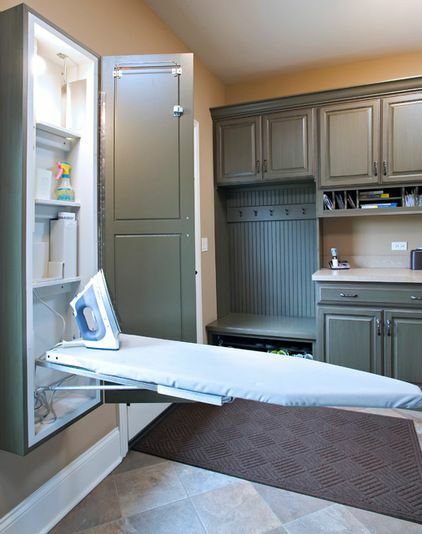 A small, non-imposing unit fixed to the wall will house not only your ironing board but also your iron, its cable and the products you need when settling in for an ironing session!